February 19, 2018 February 20, 2018 Posted in UncategorizedTagged Black Pearls, Black pearls and symbolism, Everything You Should Know About Black Pearls, Fun Fact, How can you wear black pearls?, Types of Black Pearls, What are black pearls? When we think of pearls, the first thing that comes to our mind is white. Even though white pearls are among the most popular gems in the world, black pearls too have gained popularity and are now a trendsetter. Here are some things you should know about black pearls! Black pearls also appear colourless at times, but they are not really colourless. They are produced very rarely, and this makes them expensive. These days, they are available at a relatively lower price, so more people have started to wear black pearls. How can you wear black pearls? Black pearls are unique and can help you create a new fashion statement. They are however, not for daily wear. Being bold, they are recommended for the serious trendsetting go getters. Just make sure your dress is not too flashy. Black pearls look best when you wear something more dignified and alluring. The mysterious and beautiful black pearls symbolize several things. First and foremost, they define wealth and prosperity since they are so rare. They also have very high value. Chinese mythology believes that black pearls were formed within dragon heads and stood as a symbol of wisdom back then. 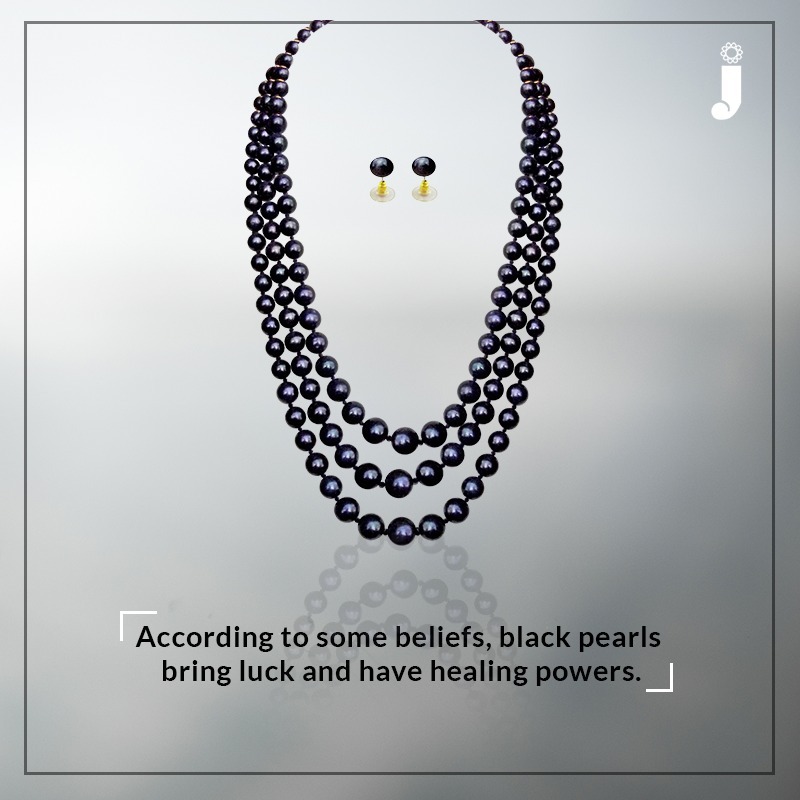 Also, black pearls are seen as lucky charms that protect people from negative energies. They are also related to healing powers. Black pearls are also called Tahitian pearls. They are named so, primarily because they are from Tahiti and its surrounding islands. 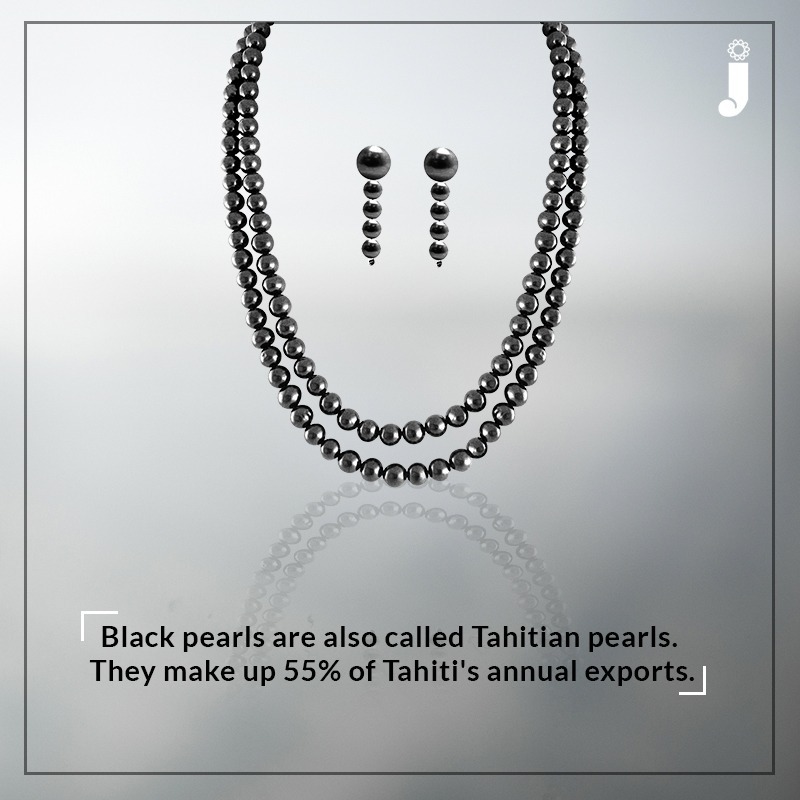 Black pearls happen to be one of the largest export items of Tahiti, and it takes up about 55% of the country’s annual exports. They are grown in an oyster called Pinctada margarita era which is better known as the black lipped oyster located in French Polynesia. 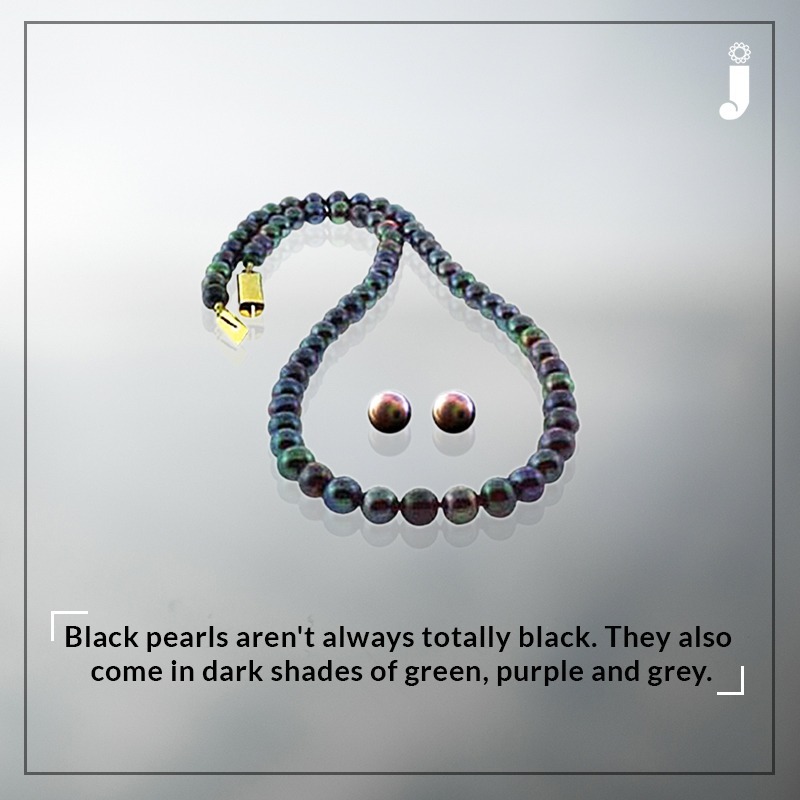 Most black pearls are not generally completely black in colour. They are usually green, dark purple or grey in colour. The intensity of the shade is determined by the proximity of the pearl to the black lip. For example, if the pearl is slightly further away from the lip, and is more towards the white portion of the oyster, then the hue is slightly silvery-grey in appearance.